As CEO of your own company you just had this brilliant idea of translating your website into another language, or multiple languages. You’re excited to accomplish this at once. You keep dreaming of the new markets that will open up with it. Machine translation is NOT the way to go. Sure it’s cheap. Sure it’s quick and easy to set up. But instead of luring clients, you could possibly be turning them away and giving them a poor impression of your company. Machine translation, no matter how good it is, no matter how it is able to at least give the most pertinent facts, is no substitute for true translation. If you don’t believe me, let me ask you how you would feel about reading a website with broken English? See? 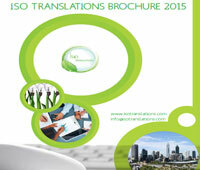 Choosing a translation agency is not a matter of the lowest bidder. If you’re going to spend on something, make sure you spend it well. Just as you would spend a lot on a business suit to project a good image, you would do well to do the same on translation services. Lowest bidders might look appealing but these translation companies are very likely to be overburdened with work because other people keep choosing them for their lower rates. And you know very well that being overburdened with work can either cause delays, or shoddy quality, or both. It doesn’t hurt to ask around. It’s very likely that there are well-known and often recommended translation agencies for your particular field of business. You could ask around your colleagues for recommendations or search for reviews. These translation agencies would not only employ people who are fluent in the target language, but they would also know the special jargon for your particular type of business. Make sure to have a Non-Disclosure Agreement signed. Does the service include proofreading as well as translating your website? Even experts are not infallible. If your company can spend on quality assurance on your products, so can you spend on proofreading. Which languages should you consider in translating your website? Of course you would want to cater first to your existing foreign clients and partners. But do also consider other countries where other businesses are expanding. Some popular choices are Chinese, Japanese, Korean, Mexican, German, French and Russian. Can your website support the language? 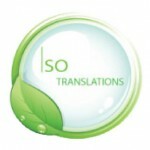 More and more website providers are becoming aware that it is profitable to make multilingual support easily available. Even so make sure that yours can, or consult a web programmer to make sure. If you can find the time to deliberate carefully on the details in translating your website it is certain that the rewards will come back to you in greater measure.